Last month began our four-part series on the material advantages and benefits of aluminum. 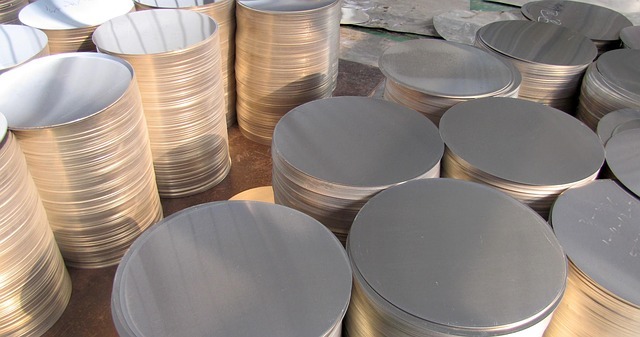 Aluminum is one of the most common elements on earth, easily recyclable, and has many benefits that make it perfect for the production of aluminum tubing. One of the most beneficial aspects of aluminum is how easy it is to bend and shape into useful forms. This makes it perfect for a wide variety of uses. Everything from storing foods and beverages to commercial and industrial uses in the manufacturing, automotive, and electronics industries. This property of aluminum is what makes aluminum extrusion design for extruded aluminum heat sink manufacturing and aluminum seamless tubing possible. At a one-third the weight of other conductive metals such as steel, copper and brass, aluminum is the preferred choice in industries that require their products to be light. The airline industry relies on aluminum for everything. Consider this: One 747 airliner has over 63 tons of aluminum within it. Airplanes require their components and parts to be extremely light, while maintaining considerable strength to manage the stresses of flight. Because aluminum can be so easily formed, through the aluminum extrusion design process, it is easy to make sure that the aluminum can be formed in such a way that it is strong where it is needed most. Aluminum does not burn or produce toxic fumes when exposed to high heat. Because of this, it is the perfect metal for everything from building materials and mechanical parts to heat sink manufacturing. Aluminum is the preferred choice of metals when working in high heat conditions. This is the end of part 2 of the Material Advantages and Benefits of Aluminum. Tune in next month for part 3. For more information about aluminum and how it can be implemented as one of your thermal management solutions, give us a call at 888-000-8499 or go to our Contact page.